Among the big news of the new Yamaha models for 2019 already announced were a host of smaller, but still important, updates for next year. The leaning, three-wheeled Yamaha Niken was only revealed in full-production trim earlier this year and was a little bit of a shock to some of the more traditional elements of motorcycling. 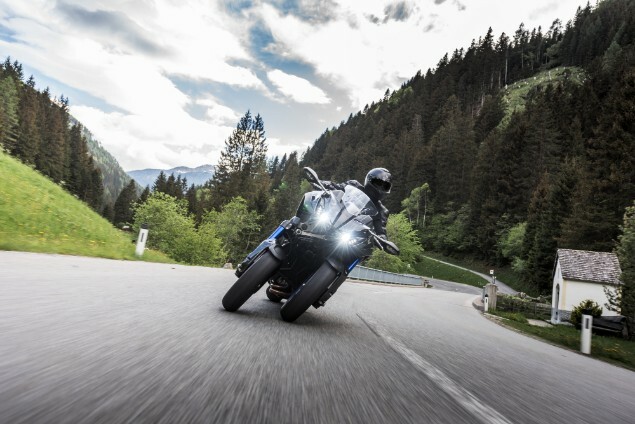 For 2019, Yamaha is adding a Niken GT to the range which is based on exactly the same mechanicals but adds some more touring focus to the three-wheel, three-cylinder bike that uses the engine from the Yamaha MT-09 range. That 847cc, water-cooled engine remains the same in terms of power output as the one used in the MT-09 which means 115bhp. Adding a GT model to the Niken range is exactly what Yamaha has already done with more traditional two-wheel motorcycles like the Tracer 700 and 900 along with the MT-10 range. 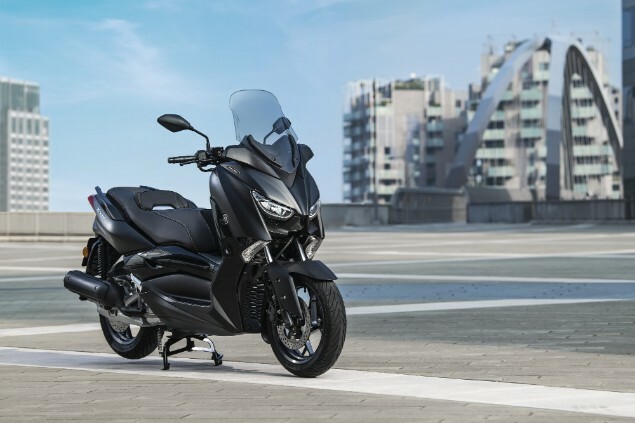 The changes to the bike include the fitment of a tall windscreen, a new design of comfort seat along with a pair of 25-litre side-mounted panniers as well as changes to the rear luggage carrier to make it easier for a pillion to hold on securely. Additionally, the Niken GT gets standard heated grips, a main centre stand, a second 12v power outlet and dedicated GT body colours and front fork finish. The Yamaha Iron Max scooters are special editions that stretch from the 125cc to the 300cc and 400cc scooters. The new scooters will be added as additional models to the existing Yamaha XMAX scooter range with Yamaha positioning them as ‘sport scooters’. The key features across the Iron Max range are a new metallic grey colour, a new dual seat with leather pads, new aluminium footrests and chrome speedo surrounds. There are no mechanical changes over the existing scooter range; all of which were refreshed very recently and come with a wide array of accessories. The retro motorcycle surge that began a few years ago may have slowed down a little in terms of new models but Yamaha has now added an homage to the 1970s Yamaha XT500 with this new XSR700 XTribute. Based on the huge-selling and very successful Yamaha MT-07, the XSR700 XTribute uses the same 689cc parallel-twin motor and chassis but adds a retro look with ‘off-road’ tyres, a tribute paint scheme and a scrambler style. The XT500 is one of the most famous of all Yamahas ever made; it was a scrambler bike of the 1970s that remains one of the most sought-after of older Yamaha models even today. 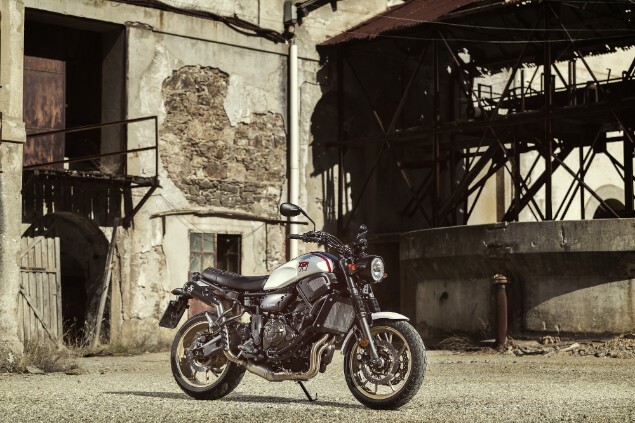 The XSR700 XTribute is slotting into the Yamaha Sport Heritage range alongside the existing XSR700, XSR900 and XV950 models. 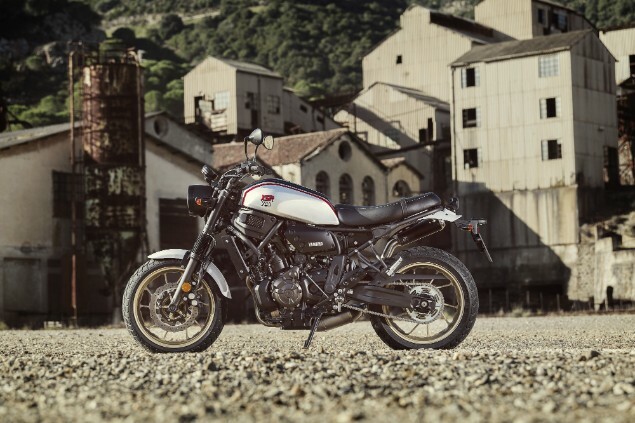 The difference between the XTribute and XSR700 models can be seen in the off-road handlebars and most robust forests along with the block-pattern Pirelli MT60RS tyres. There’s also a flat seat and fork leg protection gaiters.